The Service Design Tour is an initiative by passionate students and professionals from all around Europe. 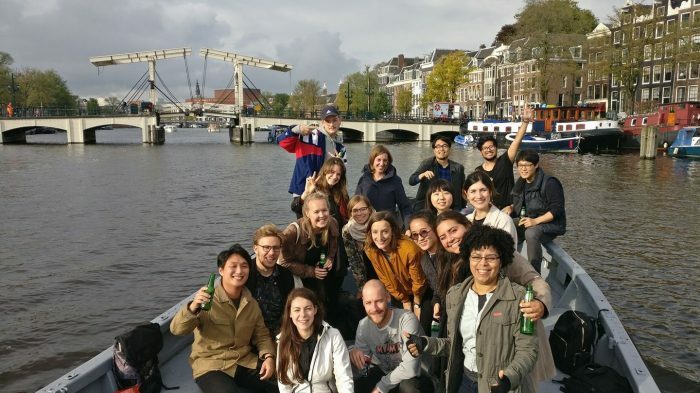 Esteban Solís and Jang Bae Lee were part of the recent tour in the Netherlands and happily share their experience with you. 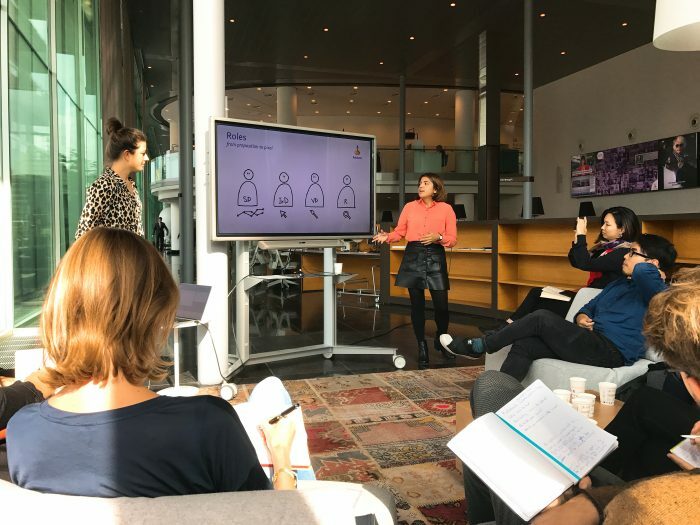 What is and was the Service Design Tour in the Netherlands about? Service Design Tour is an initiative that aims to bring students from different schools to Service Design studios around europe. 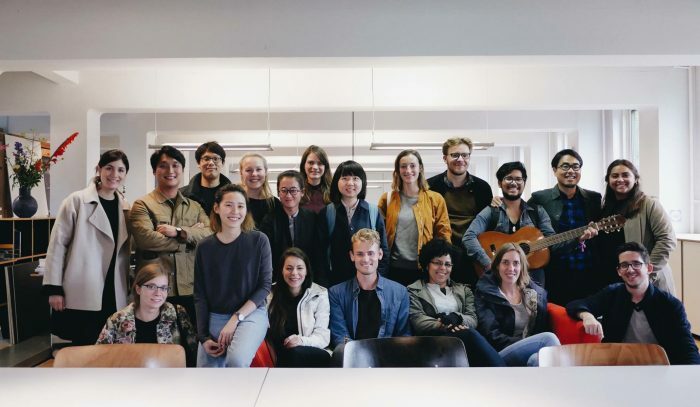 The purpose of these visits is to connect the academic world and the business in real life and open the discussion on what is service design and its future. Service Design Tour is organized by students and professionals and is open to be organized by others too. 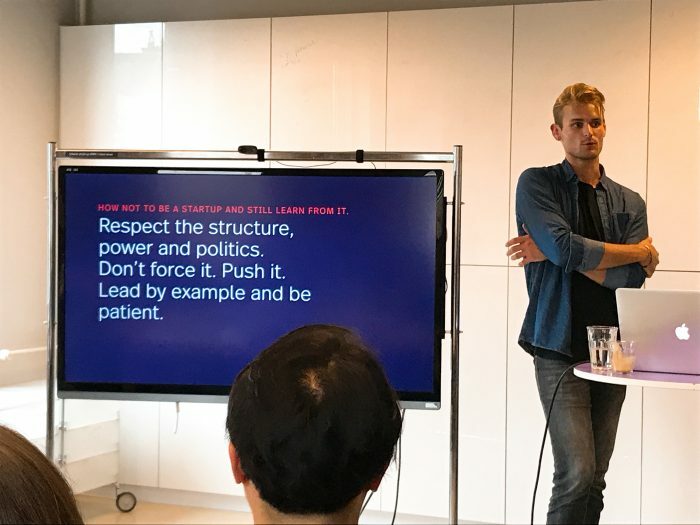 This September, the tour was taken to the Netherlands with 7 service design studios opening their doors to share a little bit of what they do, think and have learned through their experience. There were about 15 spots available and students from all over the globe gathered in Utrecht to live the experience. 7 students from Aalto joined the tour. How did you get to go on this tour? We knew about the tour because of a post that Emilija, an active member of CoID, shared in the CoID Community Forum facebook page. Two of us decided we would join since the Netherlands is not that far away (or at least is on the same continent). Then after telling this to our friends, some more students decided to join the event. I think that most of us are really interested in service design but sometimes, the chance to visit studios dedicated only to this is rare or time is just not enough to get to know as much as we want. What companies did you visit? The studios we visited were located in three different cities and are awesome and the size of studios ranged from small studios to bigger size studios which have branches in different countries and in-house design team, too. So I strongly recommend to check out their websites and follow what they are doing. 31volts (Utrecht): 31Volts is a Service Design agency based in Utrecht, the Netherlands. Their field of expertise is design driven innovation which they apply to new service development and service innovation. Their mission is design services that are meaningful for users and profitable for organisations. Rabobank (Utrecht): Rabobank is a Dutch banking and financial services company. It is a bank by and for customers, a cooperative bank, a socially-responsible bank. A team of experienced service and UX designers (“customer journey specialists”) represent the internal UX department at Rabobank. Livework (Rotterdam): Livework have pioneered service design since 2001. They are an independent, international, strategic design consultancy focused on customers and services, using design, collaboration and research to guide all their projects. A / BZ or Afdeling / Buitengewone Zaken for those who like to take the challenge of learning the long name (Rotterdam): Afdeling Buitengewone Zaken (Department of Extraordinary Affairs) helps organisations in transforming visions and ideas into tangible products, services and experiences. Their development process focuses on ‘doing’ rather than ‘talking’, from research to design. STBY (Amsterdam): STBY is based in London and Amsterdam. 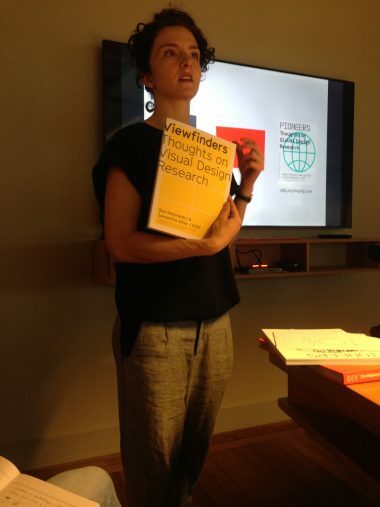 Since 2003 they have been one of the leading pioneers in the fields of design research and service design. 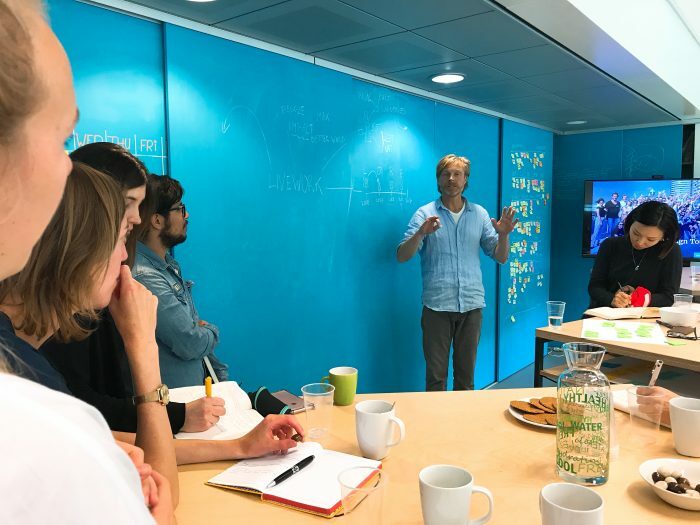 Koos (Amsterdam): Koos is an international service design agency that works with businesses to improve customer experience, design new services and help implement methodologies to make organisations more adaptive to change. Edenspiekermann (Amsterdam): Edenspiekermann is a global design agency operating at the intersection of digital, branding and content. Working upon a deep-rooted foundation of research, strategy and stakeholder involvement, they design meaningful digital brand experiences. What did you learn during the tour and from the companies? Service design is empathic and collaborative: In CoID we are taught to design along with the users, with other stakeholders and other fields through games, workshops, research, etc, and in real life projects, this collaboration plays a critical role. One of the key of service design is to get to know who you are designing for at a very deep level and make them part of the solution. Knowing what makes people happy, worried, relieved or safe and the elements surrounding those emotions or experiences is the right path to follow if you want to get to good service design result. About good research: Sometimes research is the boring part of our job because we relate this activity with reading a bunch of articles and books. 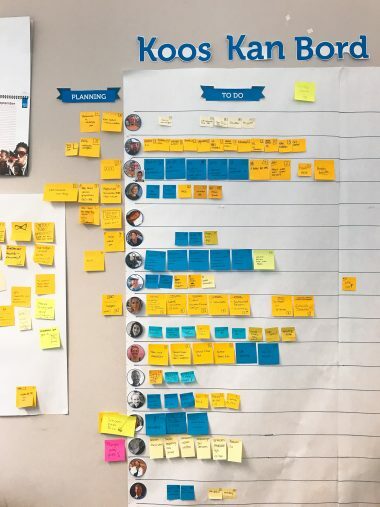 However, when it comes to service design, research is proven to be, not only one of the most important parts of a project, but also a very dynamic and interesting practice that focuses on the people and interacting with them. A/BZ, for example, develops many different types of design intervention to engage users joyfully in the research project by project. They basically state in their Hidden design Manifesto, that designers should be in context. This means going out where the users are. Where the people is. And research there by talking to them, looking what they do and becoming a part of their environment. Research is in fact such a very critical and complex part of any project that studios like STBY focus only on it. However, the research success relies on having good questions in the beginning which leads to a good and clear brief. In fact, not understanding a question or not being able to ask the correct one is what can lead to confusion or even failure. Edenspiekermann had a very good part in their manifesto that says: We don’t give answers unless we can explore your question and the same thought was shared by all the studios. Service designers are, beyond all, people: One of the greatest and nicest surprises is that senior service designers are still people. People who are curious like us, eager to learn new things. People with a passion for their work but also for fun and making their job as interesting, chilled and fun as they can. People that see in their teams a family. And besides all, we learned that this fun is not against the business side of service design. A nice anecdote happened in Koos where we asked about how do they get clients and choose projects. They told us that they divide the projects into big projects, well-paid ones and fun-to-do, and they play around with those to choose. Even if they won’t get paid that much, but the project is fun and challenging, they choose it. Entering Koos is like entering a friend’s house when having some sort of party whilst 31Volts, on the other hand, is like getting to a family member’s house. And so I can tell from all the studios. So my learning is that good service designers are people that have learned to live and enjoy their work because all of this is reflected in their projects. The future of design: I remember reading Design for an unknown future during the INTRO course one year ago and discussing how design would evolve even more and how designers would eventually play different roles as the world and mindset changes. We discussed particularly one. Designers as tool facilitators, or simply said, as givers of knowledge. By then the idea felt interesting but after visiting these amazing studios, it is clear to me that the concept is not an ideal, but a fact. It is very nice to see that the different designers are now playing this role and giving their clients the tools to continue improving by design after the collaboration with the studio is done. This not only secures the results of our work but also help people understand their businesses and their clients better and aim to make them constantly improve. This is not just a local value but usually constitute a part of the studios’ promise or manifesto. A / BZ for example say they design interactions that revolve around people and give organizations a head start. Livework has everyone has a lot to teach and more to learn as part of their vision. Koos even offer constant education about service or visual thinking to companies and have helping organizations become customer centric as a part of their profile description and mission. And the list goes on and on. Service design is not about finding the absolute truth: One valuable reflection we did later on was that there’s no absolute truth when it comes to service design. We all share methods, point of view and even practices but, in the case of the studios, none claim to have the absolute truth. Not even the ultimate method or the golden rules. This doesn’t mean that they don’t know what they’re doing or that they lack knowledge but that service design is a very complex and interesting practice that can change from designer to designer, client to client or context to context. And it is this flexibility the main motivation to continue improving, developing and testing methods. In other words, the beauty of service design is that it continues evolving and is a free discipline that doesn’t need someone to claim that he or she has found the perfect formula, but that enjoys growing, testing and sharing new ideas. What were your highlights on the tour? 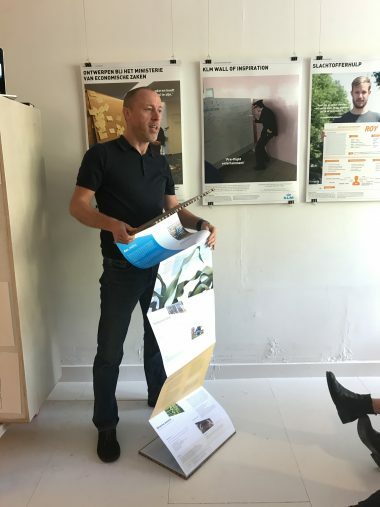 One of the biggest values of this trip was, of course, the opportunity to see service design in real life and talk to people that have been doing it for a long time but also to those who have a short time on the field. Besides all the methods, anecdotes and data, we had the chance to share some time and I realized that this is people we are talking to. People that share the same passion and are willing to share what they know for the sake of empowering design. This was really the core of this trip. We had the chance to meet people that don’t hesitate in opening their doors to people, talk about what they do, teach what they know and also learn from us. I’ve been in product or industrial design studios in the past and, not just everything is a top secret project, but also the attitude of some professionals is heavy and quite altive. These people instead are all sharing the same goal. Make good design and design for good. I believe that we all should learn from this and understand that we should aim to become better and help others become better too. Maybe teaching the clients about design is important for the business but sharing our knowledge, experiences, failures, anecdotes or one tip with other designers can create a huge impact in the future of design. In addition, it was also nice to meet students who share the same passion as us and build meaningful relationships with them and it was a great chance to do some networking outside of Finland and with people from many more countries. Would you recommend to other students to visit this type of event? Of course! I think we all should look and share these kind of events and, even better, try to organize one. 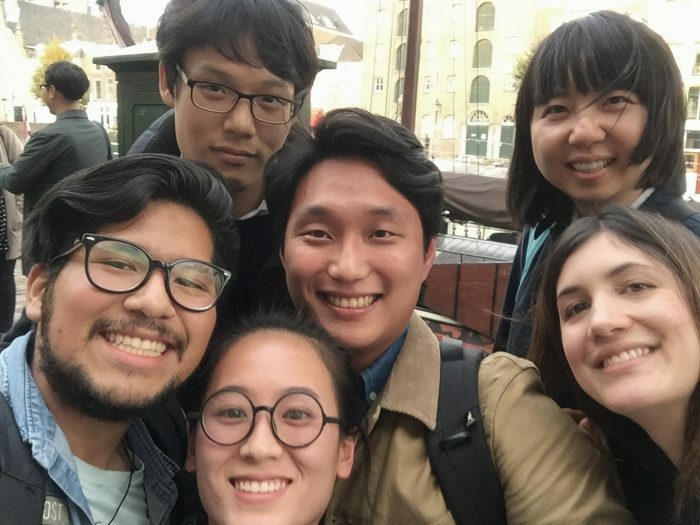 I think that the magic behind the Service Design Tour is that it was precisely students, like you and me, the ones who started and are running it just for the sake of learning and sharing the love. I would also recommend to dare to take the first step in approaching companies like these. The people is very open and nice so if you just want to learn something from them just ask them. If you want to stay updated on future events, you can follow the Service Design Tour Facebook page.